Swiss voters will decide this Sunday whether to turn back on fractional-reserve banking and support a “sovereign money” concept for the nation’s finances. Proponents of the initiative prescribe deeper centralization to remedy the shortcomings of the traditional financial system – a vision quite different from the decentralization that came with cryptocurrencies like bitcoin, following the 2008 global financial crisis. In today’s Bitcoin in Brief, we also cover a statement by a prominent Russian banker who warns that tight crypto regulations would hamper the development of blockchain technologies. Decentralization vs deeper centralization – the two alternative visions on how to respond to the 2008 financial crisis have been competing for attention and support in the past decade. The first strategy has been at the core of the crypto revolution. It is the remedy prescribed by both the growing global bitcoin community and the supporters of the small government/low taxes concept, like the followers of the Tea Party movement in the U.S. The proponents of the second approach have advocated granting more power and even greater responsibility to centralized financial authorities. 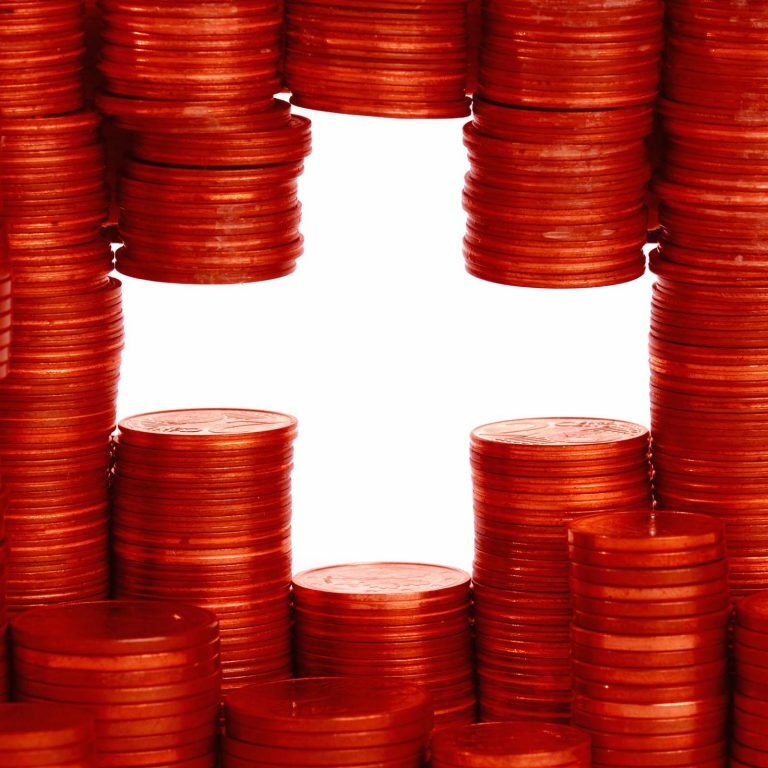 On Sunday, June 10, Swiss voters will be asked to support “Vollgeld,” a radical reform aimed at further centralizing financial authority in the hands of the country’s central bank. On the “sovereign money” referendum, the Alpine nation will decide whether to ditch the fractional-reserve banking system, which allows banks to create money by lending far more than what they hold in deposits, Quartz reports. The proposal is to give the Swiss National Bank a monopoly over this function, while commercial banks will be required to lend only what they have. The initiative would centralize money creation at the central bank, but also concentrate there the corresponding profits and the decisions on who should or shouldn’t receive loans. Its opponents claim that the referendum is a populist response to the previous financial crisis and warn that if it succeeds, that will lead to a new crisis and even spark Brexit-like panic in the country’s huge banking sector. This, however, is an unlikely result. The predominant expectations are that Swiss citizens will vote for more of the same, until the next crisis. In recent years, Switzerland has become a crypto-friendly jurisdiction, where many crypto businesses are headquartered or represented. The Chinese mining giant Bitmain opened a branch there, and one of Russia’s largest banks, Gazprombank, announced plans to test cryptocurrency deals in the Alpine confederation. The country has established a crypto valley in the canton of Zug and has been formally considering the possibility to issue a state-backed cryptocurrency. German Gref is the president of Sberbank, which is the largest bank in Russia and among the biggest in Europe. Earlier this year, reports suggested that Russia’s “savings bank” was planning to circumvent local regulations and offer clients overseas crypto-trading services. Gref also shared his opinion that the majority of countries do not recognize cryptocurrency because of its decentralization. “No state will part with the monopoly on money issuance. Most governments believe that cryptocurrency is a property and, like any other property, must be taxable,” he said, quoted by Kommersant, a leading Russian business daily. The banker also cautioned that investing in digital assets is associated with high risks. The Intelligent Trading Foundation (ITF), a developer of an artificial intelligence-powered crypto trading assistant, has announced two new trading bots for Telegram. They will provide users with important trading signals and notifications about market opportunities. The Intelligent Trading Bot, which comes with both free and premium subscriptions, sends users trading signals and suggest strategies based on technical analysis signals such as Simple Moving Average, Relative Strength Index and Ichimoku Cloud Breakout. The data covers hundreds of cryptocurrencies, offering traders valuable insight. The other free option displays brief information about a specific cryptocurrency on request from the members of a Telegram Group that has enabled the service. The Intelligent Trading Infobot can be added to any group in the messenger, and will offer current price and trading volume data, as well as the latest trading alerts for hundreds of coins and pairs on three crypto exchanges. What are your thoughts on today’s Bitcoin in Brief topics? Tells in the comments section below. The post The Daily: Swiss Vote on “Sovereign Money”, Russian Banker Against Crypto Ban appeared first on Bitcoin News.